If you like to stay updated with the happenings in technology world, then you must be familiar with cloud computing. If not, then you must have heard about it, at least. This term is viral on the web nowadays and by seeing it rolling over the web, you might have got confused about what does cloud computing mean? Well, in the simplest words, the cloud computing is about storing the files and resources on a server and then accessing it from anywhere in the world via Internet. You might know that in the flow charts, Internet was represented by ‘cloud’. Therefore, the existence of term ‘cloud’ clearly tells that it is something that is related to ‘Internet’. Cloud computing is like a necessity nowadays. 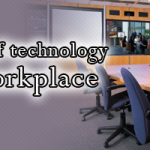 The time is not far when everyone will be relying on cloud computing to perform the business/non-business related tasks. The cloud computing is a lot more important in today’s life. Why? Well, anything becomes important if it has got many advantages, right? 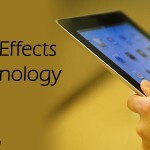 So, the cloud computing is very important because it has many benefits for everyone. 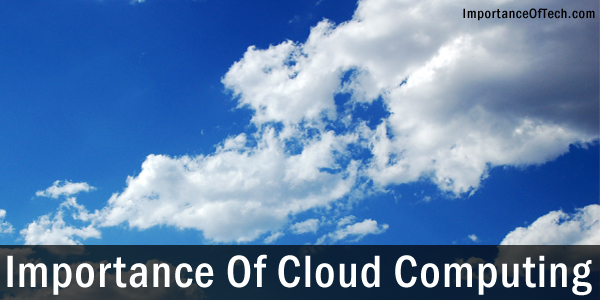 The importance of cloud computing can easily be seen by knowing its benefits. Here is the list of benefits of cloud computing. Let’s start from the thing that matters the most in today’s life- saving. In the cloud computing, you just opt for a service that charges you a small amount monthly, an then start using all the resources. If you are using any cloud service, then you need not to invest on hardware for storage purposes and on licensing of software. The next big importance of cloud computing is- security. Since nowadays, computer is used to carry out all the important work, therefore, so the security is must. You might be familiar with many security tactics, but admit it, you can’t keep your data with that high security, with which the cloud service providers can. When you use cloud computing, you need to be afraid of your sudden system crashes. Your important data is in the cloud that you can access anytime. If you want to store huge amount of data, and are planning to do that with the storage devices, then be ready to lighten your pocket. In the cloud computing, you can opt for the unlimited storage plans that do not cost you much. At least, the amount that you pay to your cloud service provider for the unlimited storage, is lot less than what you’d have to pay to buy storage devices. If I am asked to select the biggest importance of cloud computing, then this point will be my choice. Come on, saving the data from one place, and then getting the power to access it from any corner of the world, is none less than a dream. Being able to access your data anywhere is especially useful when used as a means of disaster recovery to get back on your feet after an unforeseen disaster. You need not to have physical access to the system from where you saved the data. All is saved in the cloud, and you can access it from anywhere, anytime via Internet. Cloud computing is proven and practical. Cloud is the need of every enterprise today, not only it is cost efficient but it makes the enterprise concentrate on your business. I mean they don’t have to concentrate on setting up hardware and other stuff for their storage solutions.